One of the biggest mistakes brands are making in social is overemphasizing their owned media and underemphasizing their earned media. Companies are spending time and riches to acquire a larger audience so that they can talk at more people, while simultaneously ignoring the simple truth that those people aren’t just message receptacles, but also megaphones waiting to be activated. I’ve written in the past about the two types of Talk Triggers and making your brand worthy of social media. Remember, social media was initially driven by consumers talking about companies, not companies talking to consumers. The famous magician duo Penn & Teller evidently understand this differentiation fully, as my recent experience at their show in Las Vegas attests. Last week, I was speaking at the New Media Expo conference about Youtility (where I also announced that my new book by the same name will be published this June by Portfolio. More about that soon!). 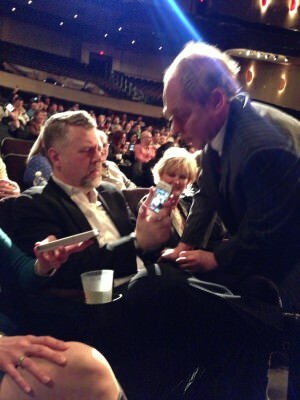 After the conference, I attended Penn & Teller’s show. I’ve been a big fan for years, and invoked Teller in a recent, popular post about time pressures in social media. I was joined at the show by pals Lee Odden, Nick Westergaard, Tamsen Webster, and Tom Webster. 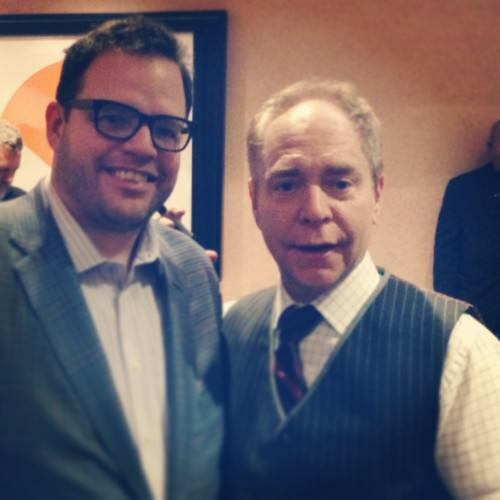 But Penn & Teller’s commitment to turning audience members into social ambassadors is no trick. After every show, the magicians adjourn to the lobby, where they sign autographs and pose for pictures until every single fan is satiated. Wow. Not only is this a great example of humility and Gary Vaynerchuk‘s principle of the thank you economy, but in this age of moment sharing, every photo taken and uploaded creates awareness of Penn & Teller as a viable entertainment option in a ferociously competitive Vegas market. By way of comparison, a few weeks ago I took my family to see the Criss Angel show at The Luxor (I’m in Vegas A LOT for speaking gigs). Not only was the magic better at Penn & Teller (to my amateur’s eye, at least) but Angel’s show expressly forbid photography of any kind. Prohibiting fan participation equals a paucity of social ripples, other than text-only Foursquare check-ins and the like (which I admittedly did – against house rules – while in the restroom). So Criss Angel gets a Foursquare check-in. Penn & Teller get Cell Fish videos, a photo of me and Teller on Instagram, Path, Facebook and Twitter, a photo of me and Penn in the same venues, and photos of Tom, Tamsen, Lee, and Nick on their respective platforms of choice. Combined Twitter followers: 133,000+, and that’s just one row of the audience. My challenge to you for this week is to take some time and think about all the touch points where you could be encouraging your customers and fans to be creating content – and social ripples – on your behalf. Is it through signage? Is it via a contest? Or is by just shaking every hand?